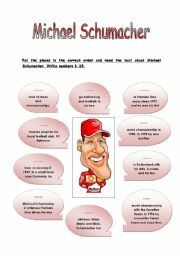 Put the pieces in the correct order and read the text about Michael Schumacher. Then you have 2 more exercises... Have fun! 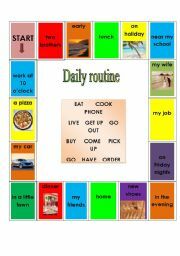 Ss land on a square and make a present simple sentence using the phrase on the square and a verb from the centre of the board. 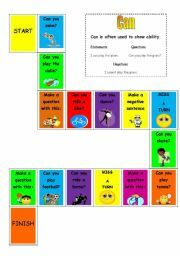 It´s a funny and useful game and Ss can practice. Here are some examples: drive my car, buy new shoes etc. 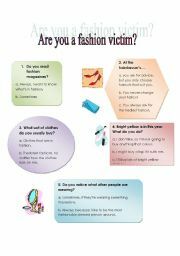 Do the quiz and find out: Are you a fashion victim or not. 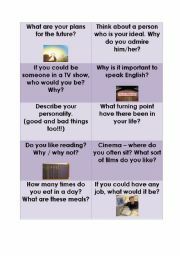 Ss choose a card, read it out and try to answer. They really like ineractive exercises... I hope you can use it. Ss can talk about jobs and play at the same time. You will need a dice and markers to play. 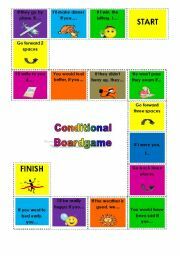 Play the CAN boardgame with your Ss. Cloze tests are good to practice how to substitute different words to a text. 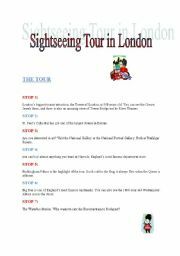 An easy reading about London. 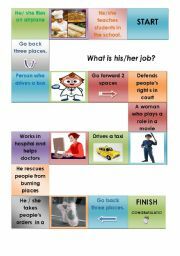 After it you find three exercises (complete the sentences, name the pictures and match the words). I hope you and your Ss will enjoy it. Play a little - and learn at the same time.